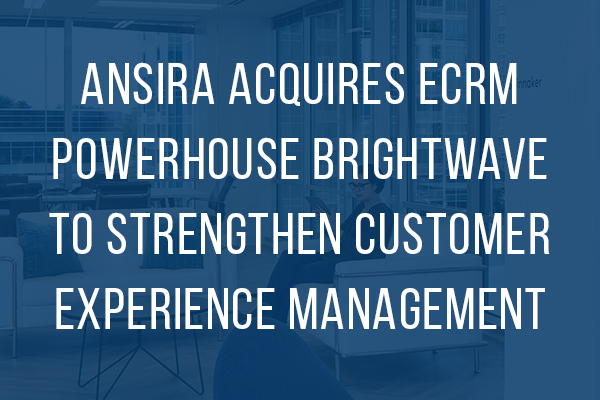 Ansira Partners Inc. (“Ansira”), a leading marketing technology and services firm helping brands orchestrate customer experiences in the brand-to-local ecosystem, today announced the acquisition of BrightWave, a leading email and eCRM company in the United States. Cited as a best-in-class industry leader by analyst firm The Relevancy Group, BrightWave has an unmatched collection of technology partners, including Salesforce Marketing Cloud, Adobe/Marketo, Oracle Marketing Cloud, and IBM Marketing Cloud, as well as fast-growing platforms such as Cordial, Emarsys, and Moveable Ink. 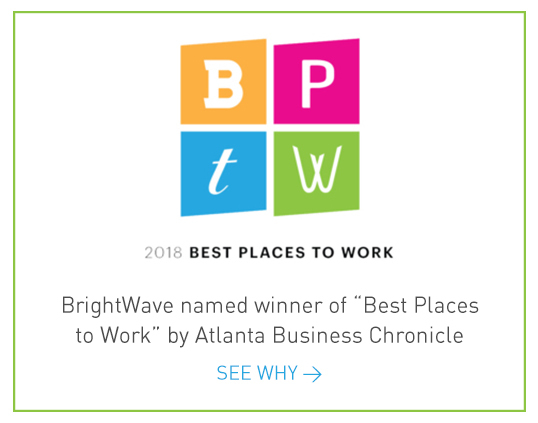 BrightWave, which was named a best place to work in Atlanta, and its approximately 70 employees will help expand Ansira’s presence in Atlanta and will provide further scale to Ansira’s already robust CRM and loyalty marketing capabilities. One of the largest independently owned marketing technology and services firms, Ansira helps brands orchestrate customer experiences in the brand-to-local ecosystem. The company’s more than 850 strategists, technologists, data scientists, creatives, and channel experts manage a unique combination of industry-recognized solutions in customer-relationship management (CRM) and loyalty, through-channel marketing automation (TCMA), and national and local media. Ansira’s extensive suite of products and services, which have become increasingly sophisticated and digitized to meet customer expectations, are designed specifically to help clients meet their sales and loyalty goals. Headquartered in St. Louis, Ansira is a marketing technology and services firm that helps brands orchestrate customer experiences and drive business results in the brand-to-local ecosystem. Ansira’s experienced marketing practitioners design, implement, and manage a unique combination of industry-recognized solutions in customer-relationship management (CRM) and loyalty, through-channel marketing automation (TCMA), and national and local media. With more than 850 employees globally, Ansira supports more than 150 brands in varied verticals, including automotive, business services, consumer packaged goods (CPG), hospitality, restaurants, retail, and technology. In 2019, Ansira commemorates its 100-year anniversary as an innovative and evolutionary marketing and services firm. For more information, visit ansira.com.